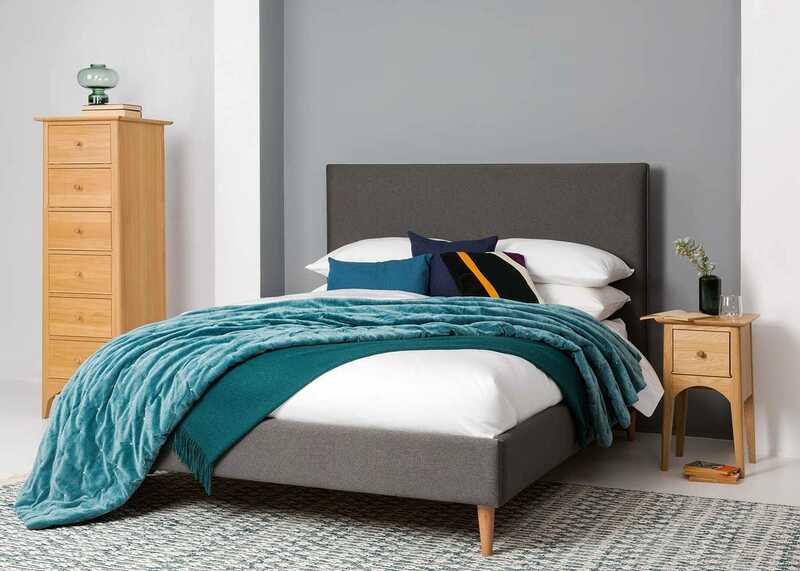 Handmade in a small factory in West Sussex and designed in-house, the Hayward bed is a versatile design that fits neatly within both contemporary and traditional bedrooms. 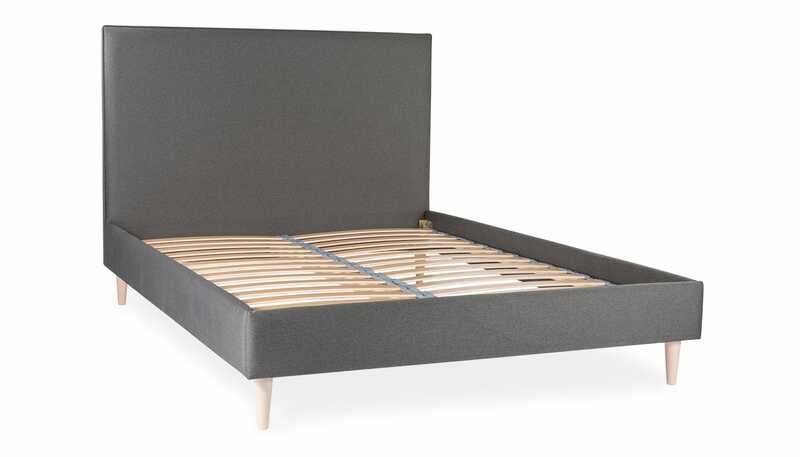 Made from FSC Certified timber that is fully upholstered in a hard wearing Charcoal fabric, this exclusive bed features a grand headboard, traditional wooden sprung slats and turned oak stained beech feet. 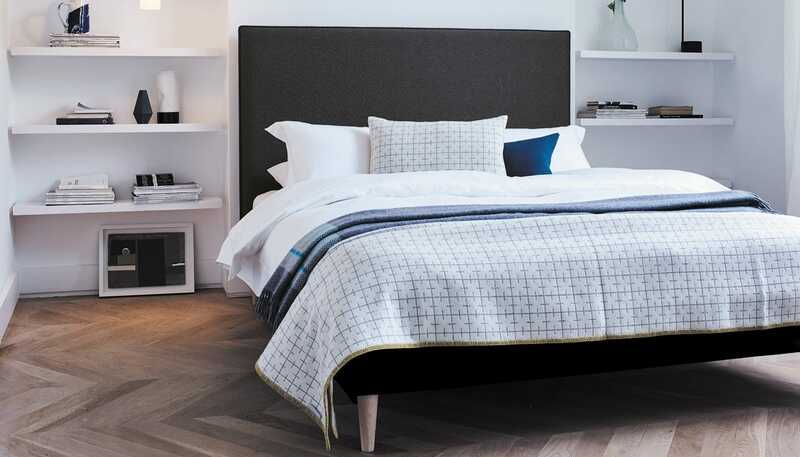 A bed providing a comfortable nights sleep and the perfect base for a stylishly dressed bed. Designed in-house and exclusive to Heal’s. Handmade in Sussex within a small factory that employs just 30 people. 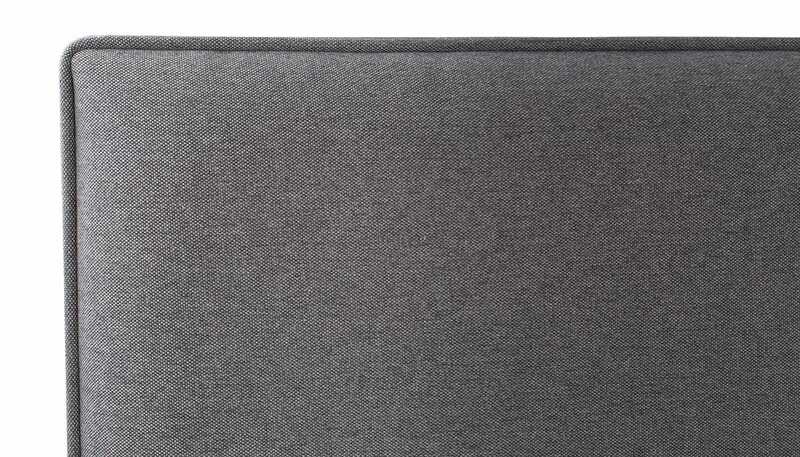 Fully upholstered in a choice of velvets and weave fabrics. 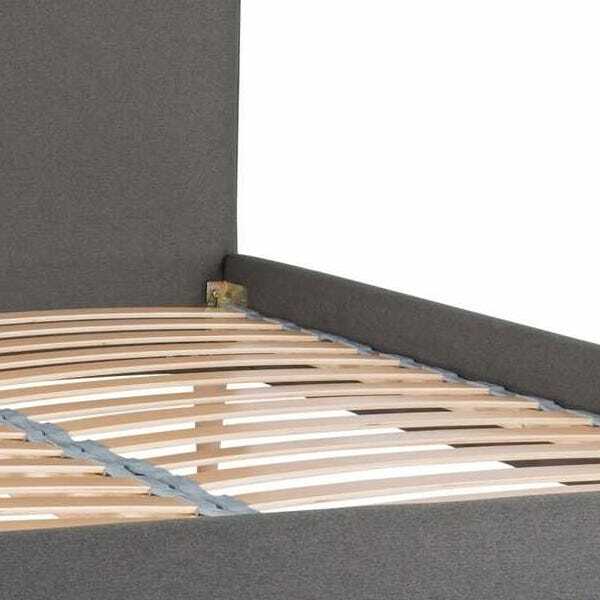 Sprung slats for superior mattress support. 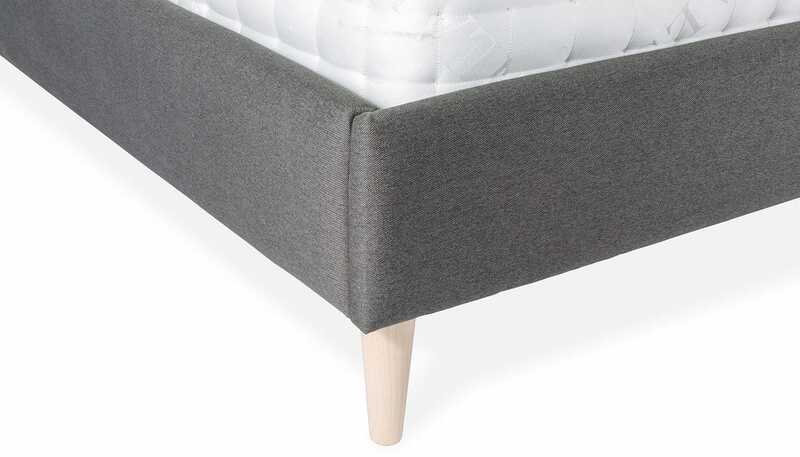 Turned solid wood feet contrast the fabric for a contemporary look. Classic styled to fit any contemporary space or home. 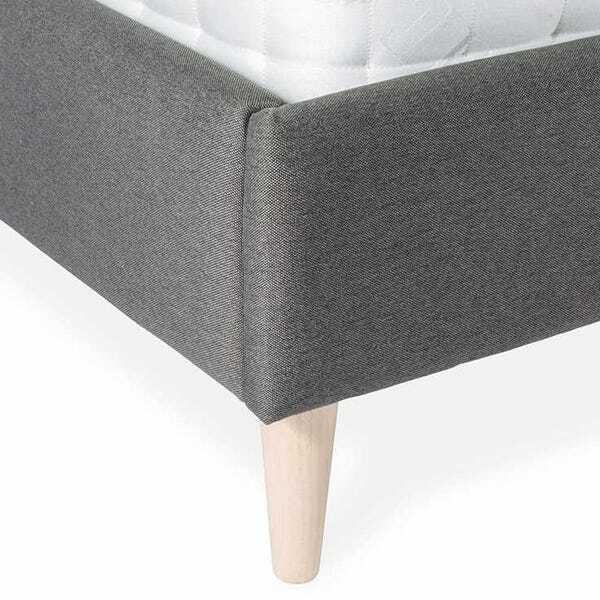 Turned solid wood feet contrast the darker fabric for a contemporary style. 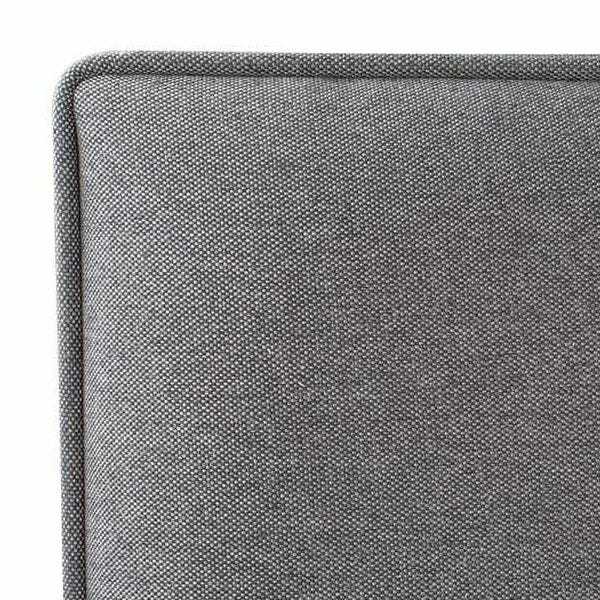 Neatly upholstered grand headboard available in a variety of fabrics. 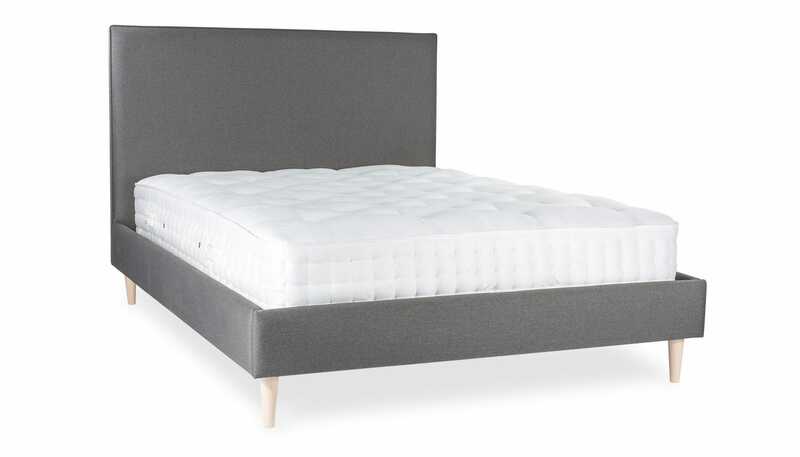 Sprung wooden slats create a strong base for your mattress to rest upon. FSC certified timber and sprung slats.